António Guterres, secretary-general of the United Nations, today marked World Environment Day with a warning about the ecological harm caused by plastic waste. More than eight million tonnes of plastic waste ends up in the oceans each year, a trend that could overwhelm marine life by 2050, he said. “From remote islands, to the Artic, nowhere is untouched,” Guterres said. His message underscored the dependence of peace and prosperity on a healthy planet. There are estimated to be as many as 267 marine life species that have either ingested or become entangled with plastic debris. Almost 90 percent of turtle species, and around 45 percent of all seabirds have been affected, as well as 43 percent of all marine mammal species. The environmental activism group Greenpeace meanwhile estimates the current amount of plastic entering the world’s oceans at close to 13 million tonnes each year, which it says includes “everything from plastic bottles and bags to microbeads”. 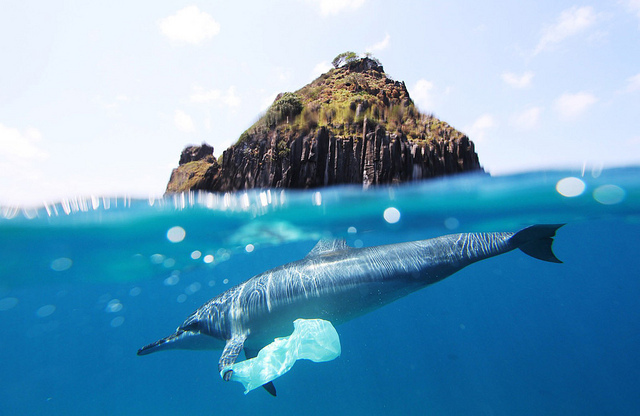 “We are calling on big corporations to act to reduce their plastic footprint – and stop producing excessive plastic packaging that is designed to be used once then thrown away,” the group has stated. On 2 June, a pilot whale in southern Thailand died after swallowing more than 80 plastic bags. A rescue mission leading to an autopsy revealed the whale ingested 8 kilos of plastic, Thailand’s department of marine and coastal resources confirmed. Guterres urged people to stop using disposable plastic products, such as plastic bottles, and to “refuse what you can’t re-use”. World Environment Day began in 1974, to raise awareness and galvanise leaders to act decisively on threats to global environmental concerns, including the depletion of the ozone, desertification and global warming.